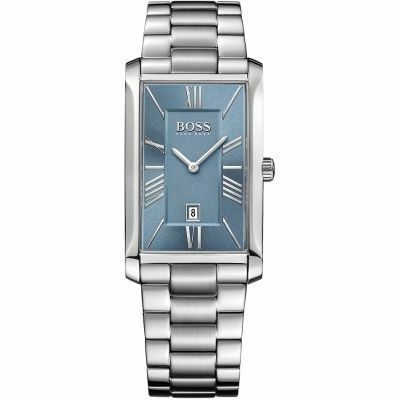 My boyfriend loved this classic watch, looks smart and he gets lots of compliments. Watch is fine, just as I expected. The date is a little difficult to see, especially 13-19 as the numbers dont quite lie up with the aperture. Remarkable value for a classic wristwatch with a simple classic dial and a comfortable, secure metal bracelet. 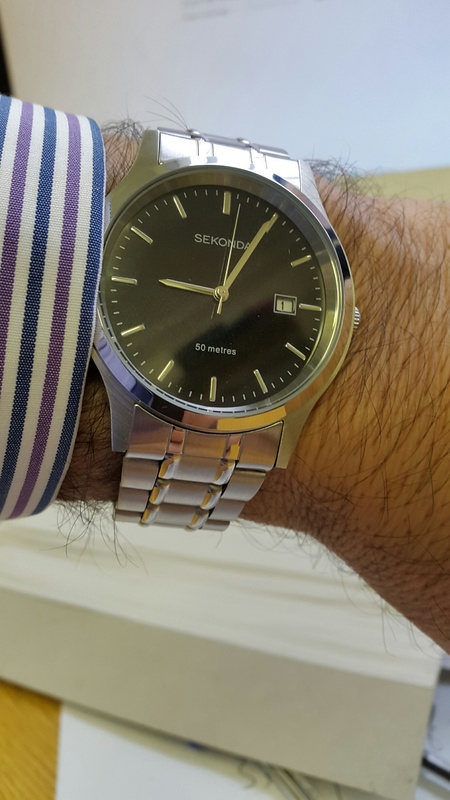 I am completely satisfied with my sekonda. Good quality and a lovely finish on the watch. A gift for my son he loved it. he found adjusting the strap really easy. Excellent quality watch. Delivery was superb said 48 hours was delivered in 24. Very impressive for the week before Xmas. Amazing watch, loose on the wrist which I like, rather it too big than too small! Person I gave it too couldnt be more happier! Sleek design, comfortable fit. I had to adjust the links and also the main watch component wasnt as big as I had anticipated however overall Im happy with its looks and feel and for £25 was a bargain. Excellent Watch, Excellent delivery. This is the second one I have purchased, the first for my Father In Law, the second for my Husband as he was so taken with it. Stylish and great value for money. Once again Watchshop has provided not only a lovely watch, but super service. The product arrived quickly and we were really pleased with the quality, particularly as the price was so low. Excellent service. Second watch Ihave bought from you and as usual the service was first class. The face is good, strap fits and looks great. Price is right, whats not to like. I chose this watch as an inexpensive replacement for my previous inexpensive watch. The display is attractive, as is the metal strap and I am happy with the watch except for one thing. My wrist is of average size but I found that I had to adjust the strap to the tightest setting just to get a moderately firm grip. On this setting, however, the wrist clasp does occasionally come lose when you are wearing anything with long sleeves like a sweater or kagool. Mildly frustrating but something I will tolerate. Excellent value product received promptly. Very quick and efficient service. Couldnt be easier. Fantastic Watch at a fantastic price and service was excellent all the way. Superb customer service and also keeping me informed all the way through the process of delivery. Very Highly Recomendations for any one wanting to make a purchase. This is a really smart, classy watch that is very reasonably priced. Would recommend it. I ordered this watch to gift my brother. The finishing is very nice and it looks good on broad wrist.Black dial with silver combination is very nice and looks classical. Overall it is good watch at a price point. Bought the watch for my boyfriend as a Christmas present. Looked good in the picture but in reality I like it even more. Great watch for good price! It looks more expensive than the cost. Im sure that hell love them as well. The delivery was very fast - 8 days to Cyprus since the order completed. Actually I get my orders always on time! Thank you! perfect fit, looks good, keeps time!! Have previously reviewed this item on your review agents site. Quick response to order and delivery to your pick up location in Bournemouth, who were also very helpful. Watch is a gift and the initial observation of the product is good. 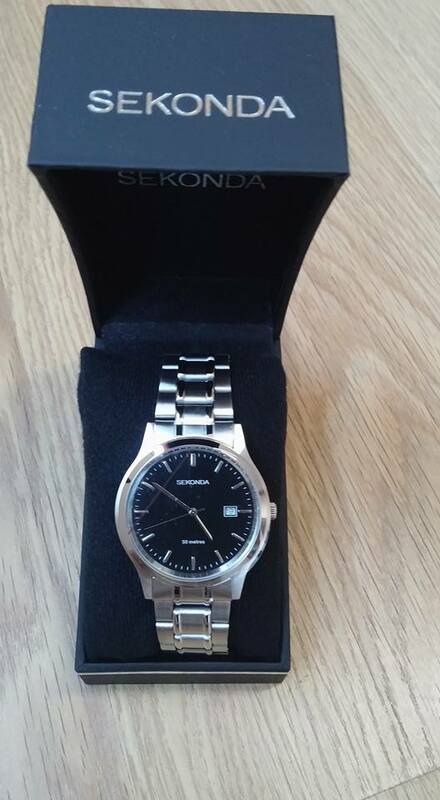 A nice looking Seconda mens bracelet watch. A Christmas gift so cannot common on fit etc. However an excellent service from Watch Shop from order to delivery, very smooth and updated regularly. Prompt delivery. Would recommend this company. I cant believe what excellent value for money this watch is. It looks worth more than its full retail price and I got 50% off with the watch shop. It is a Christmas gift for my dad so I cant comment on functionality but it certainly is a really attractive watch and is a true match to the website listing. I am very pleased with this watch. It as so far kept very good time. I will buy from this seller again. Arrive on time. Value of money. This is a lovely watch, looks and feels much more expensive than the price paid. 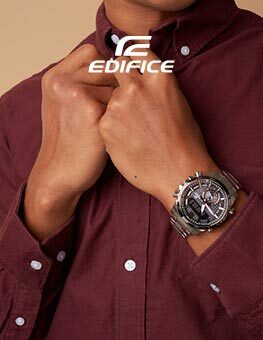 It looks masculine but still very classy, and it is an easily wearable watch that will suit any occasion from casual to formal. The black face looks so elegant and classy and the silver bracelet strap adds to the expensive, chic and classy look. Furthermore, it comes packaged in a lovely gift box which makes it a great gift and adds that extra finishing touch. I bought this as a gift for my dad and although he hasnt received it yet I know that he will be very pleased with it. Cant believe I got such a beautiful and quality item at such a good price! 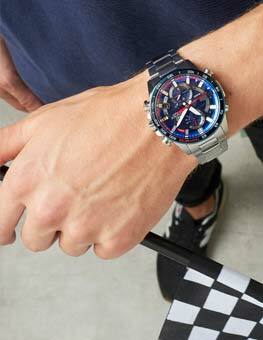 Would highly reccomend this watch and I would buy again! I bought this watch at half price and now that Ive received the watch, I would happily have paid the full price. Its a very good looking watch the silver-on-black color scheme contrasts very well and makes the watch face easy to read and stylish. The watch itself is good quality and well built it doesnt feel cheap or breakable with simple adjustments of time, date and bracelet - very pleased. The strap was too big for me on arrival, but I took it to a local store and had it adjusted for free part of the WatchShop guarantee. Excellent watch for the price, delivered in super quick time and informed by email where the watch was while in transit. birthday present for my son, arrived very quickly and my son is v pleased. Very good.buy this for my friend.he like it very much.good looking,good value,good quality. So I buy anther one for my dad. Well worth the money! Very smart! Good present! Deffo buy again! Nice watch. Keeps good time. Fits just right. An excellent watch. Chain clip is simple and easy to attach and remove from wrist. Watch face is sleek and minimalist. Time and date are easy to set. Decided about time I bought myself a watch. Having owned a Tag Heuer chronograph watch in the past, which was the biggest piece of junk ever, I was a little reluctant to commit to such an expense again. Excellent value, black face and chrome hands give the impression of a much more expensive watch. Surpassed everything we expected. Style, beyond Sekonda! Have had Sekonda watches before, but this new version is SUPERB. Exceptional in every respect. Replaced a VERY expensive watch. Wearing SEKONDA 3730 IS A REAL Pleasure. WATCH this space....Thanks Watch Shop - we bought this watch after Watching your TV advert. Nice watch bought for my dad, who replaces his watch with the same model every 6 yrs or so, really happy with the service and delivery time, second watch purchased, will never go to a high street shop again!! it was just as described, even watch size was adjusted before arrival, great, arrived after 2 days after ordering, as i ordered it at sunday, it was really fast! Watch good, delivery good, had asked for links to be removed from strap but when arrived no links removed which was a shame. Nice watch and good value in the Watch Shop Sale. style and features represented great value for my money. Great watch good quality for money easy to adjust bracelet. Very pleased with the product. And water proof as well. This is my first watch and I love it. Great quality watch for a great price. Furthermore, The delivery was quick so I didnt have to wait too much. I strongly recommend this watch in case you like it and think it fits you. The bracelet was a bit too large for me but I took it to a watch shop and they adjusted it for me for free in less than 5 mins. In addition, I got 50 pounds voucher to spend on wines. All in all. The best deal ever. The product was exactly like advertised and really well made, the black face makes it look really elegant and stylish. Also the gift wrap it came in was very neat and looked exactly how I was expecting. Overall I am very pleased with this purchase. My boyfriend loved it despite the strap being a but big. 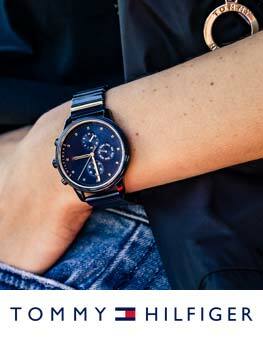 Its a smart sophisticated watch that was really reasonably priced and well worth the purchase. A good watch at a price less than most people want for a metal strap and delivered the next day. As a bonus they adjust the strap to fit free. What more can you ask for! 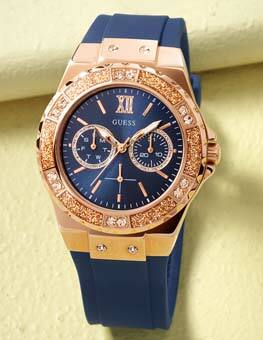 Very nice watch, the clasp is very good an secure so no worries of the watch falling off your arm. Looks premium too and my boy loves it! A watch with a solid feel to it. Heavier than my previous watch. Deeper too. The bracelet has a slight adjustment, but for any larger adjustment youll need to remove links. Both the watch and bracelet look much more expensive than the bargain price would suggest. Good timekeeping? ...Its been OK over the 2 days Ive had it. 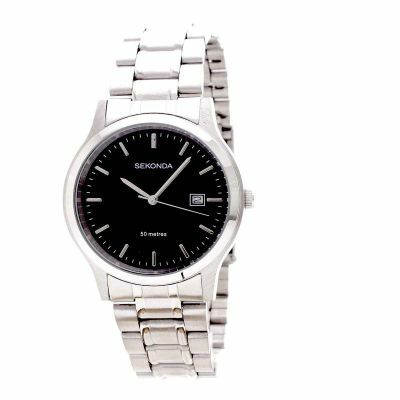 The Sekonda 3730 is standard sized watch not bulky with a stylish black face and a nice silver clasp strap,would look good for almost any occasion. I bought for my dad. And hes like this watch. I am delighted with this watch and the superb quality. This came as somewhat of a suprise since I remember the clunky old Sekondas of years ago. The strap is also of excellent quality and was very easy to adjust. Brilliant watch at a very good price so much so I ordered another. Good quality watch the watch fully matched description. On receipt of the watch I didnt have to alter the bracelet. Packaging was also good. Thanks for a very quick delivery. 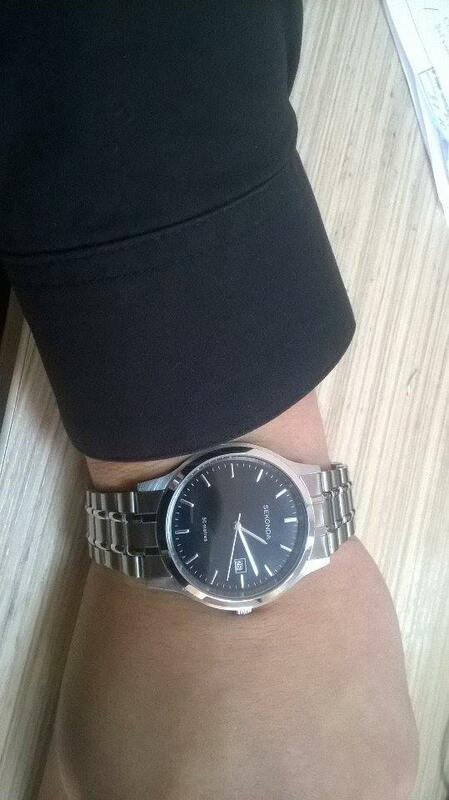 I bought this simple watch for my husband and he really love it. Just fit and perfect on his wrist. Now Im looking for another one to buy. 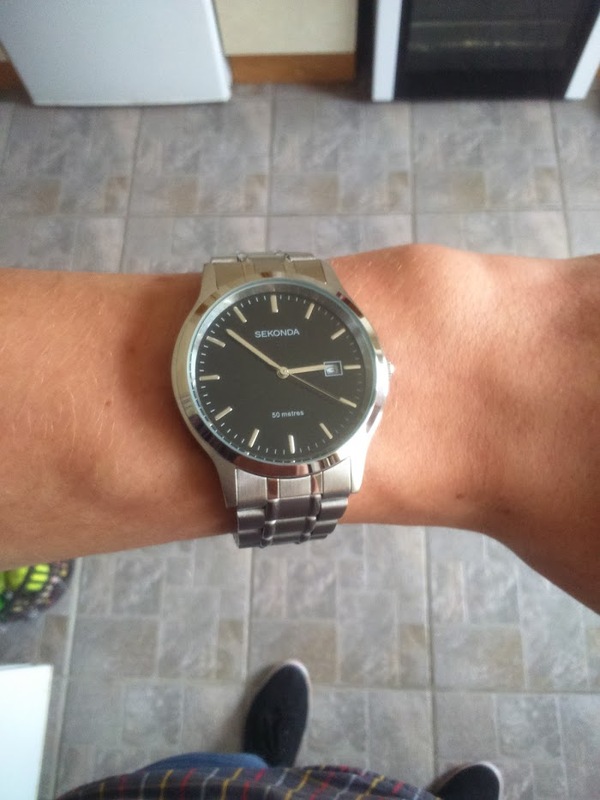 I bought this watch for my boyfriend, its a really nice watch and he loved it but the only problem is, is that its hard to adjust to the right size. After spending a long time trying to do it, 3 of us still couldnt do it. Other than that its a really nice watch that goes with anything. The watch is great value for its price, not too big or chunky either. The strap is adjustable to even the smallest of wrists trust me! and feels comfortable. the contrast on the face makes the dials stylish yet easy to read in all conditions apart from the dark! Really nice simple looking watch. Nice clear easy to read face. Fits comfortably. Not too heavy. Keeping good time. I bought this watch as a Fathers Day gift. It came in loads of time and well packaged and presented. My dad loved his watch and it looks great - more expensive that it actually was. It is a lovely looking watch. It looks chunky but is actually very light. It is suitable for both casual and formal wear and is perfect for most occasions. Really pleased with quality of watch & good value for money. Strap needed shortening think it was designed for a giant, but otherwise well pleased. Great watch which can be given as gift for all age ranges...Im impressed with it! Great product. Good price. Quick delivery. Looks great. Very pleased. Very clear face and smart looking watch at a super price. Could have sent it away for the strap to be altered but felt it was easier & simpler to have it shortened at our local market for £4. very cool watch, fantastic offer price, feels good, looks good, good move on my part...excellent service, very fast delivery. the product arrived and was in good condition. I was happy with my purchase overall although the watch looked much better in the picture when advertised. Also the wrist was slightly big but can easily be adjusted. I would defo reccomend this product as it was perfect. Our grandson is very happy with his watch, it fits him perfectly, looks good on him and thats what is important for us. recommend this watch.Excellent quality for the price. Excellent watch looks smart keeps very good time Although watch came with free service to adjust the bracelet i did it myself with out any problem Very happy. I ordered the watch, which was half price and had free delivery, and was delivered to my door the very next day. The watch is lovely and in excellent condition. I couldnt be happier! Easy ordering. Quick delivery. Strap adjusted OK. Looks good. Keeps perfect time. Excellent value for money. Excellent quality with fast delivery, would recommend this site to others, its great!